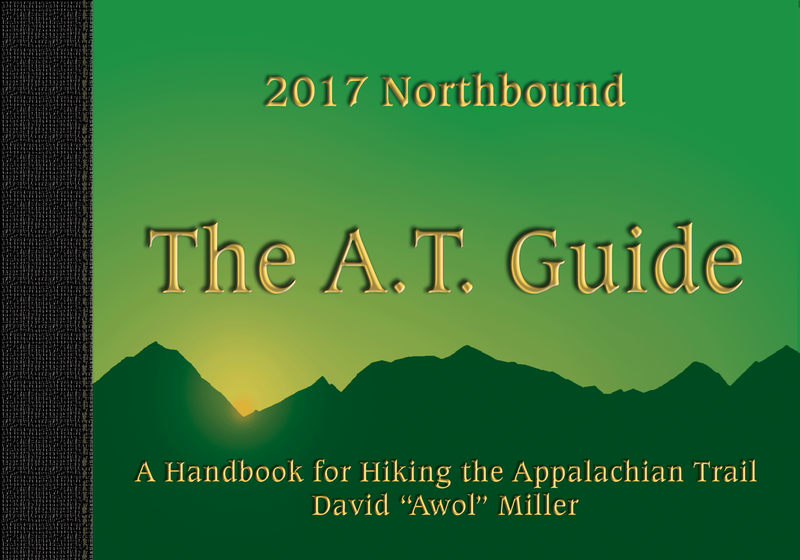 The AT Guide: 2019 Northbound, by David "Awol" Miller, 2019. "A Handbook for Hiking the Appalachian Trail." A very practical and useful guide for the thru-hiker. Features complete charts w6th northbound & southbound mileages and elevations for shelters, towns and many other landmarks, with elevation profile overlaid. Features more than 50 detailed town maps with info on lodging, restaurants, services. Compact, easy-to-use format. Pages arranged in northbound sequence. 224 pp, 8" x 5 1/4."